I was a bit out of touch for the last half of last year so I relied on the end of year roundups from fellow book bloggers to re-populate my reading wishlist. One such recommendation came from Raven’s Top 5 Books of the Year and, in its turn it has become my first contender for favourite read of 2016. 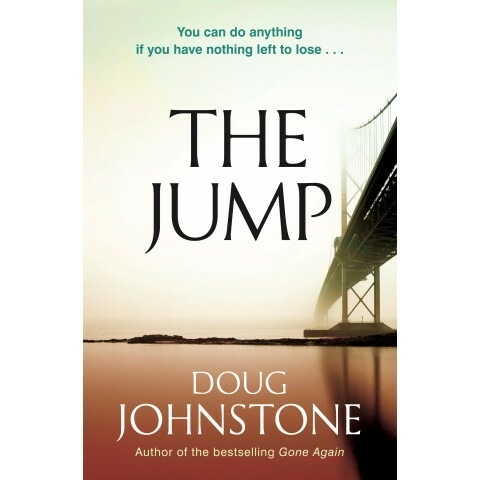 Doug Johnstone’s THE JUMP is unforgettable and understated and its story takes unexpected turns. I adored it and its unlikely, grief-stricken heroine Ellie. I was lucky enough to have some other terrific reading during the month and can recommend any of the below books that are marked with an asterisk. I’m pleased with my start to the year from this bookish perspective as most challenges are on track. Though I’d like to have reduced that TBR a bit more. In my defence I read 8 books that I owned prior to the start of this year…but I also added some new books thanks to holiday book vouchers and did read several library books (these of course are never counted in my TBR so reading them does nothing to reduce my mountain). What about you? Has your year’s reading gotten off to a good start? Anything in particular taken your fancy? Is there a new release due out that you’re especially looking forward to? This entry was posted in books of the month, Dana Stabenow, Ellery Adams, Emma Viskic (Aus), Kati Hiekkapelto, Leslie O'Kane. Bookmark the permalink. Sorry to hear you were sick, Bernadette. Glad to hear you’re on the mend now. I’m impressed with the progress you’re making towards your reading goals. Good way to get back into the reading mojo mode again. I had a great start to the year in January, read lots of wonderful books and made some progress on the TBR pile and have not bought any new books to read. In February I am slowing down though. I was disappointed you did not like Restless, because I bought a copy at the book sale, but I will try it still. And I have Stabenow’s book and the Michael Gilbert book to look forward to.